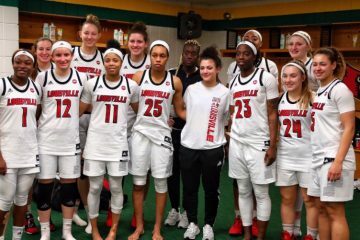 The fourth-ranked University of Louisville women’s basketball team closes out a two-game home stand tonight at the KFC Yum! Center against the Cavaliers of Virginia. But most importantly, it’s Jeff Walz bobble head night. The first 1,000 faithful fans will be rewarded with the cutest little grinning head-nodder in all of women’s basketball, so get there early! Virginia is coming off a 28-point thwacking at the hands of NC State, and the Cardinals (15-1, 3-1) should prove to be more than a match for Tina Thompson’s 7-10 Cavaliers (1-3 in ACC). While it’s been an uphill battle, the Virginia women have shown some spark under the legendary Thompson’s first year of tutelage in a 19-point comeback against Virginia Tech. And yet still they are only averaging 58.8 PPG (second worst in ACC). 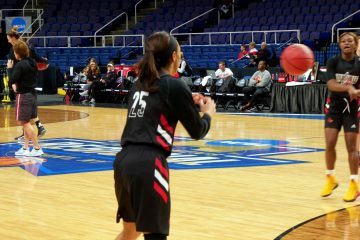 Here’s how the Cardinal women can extend their 14-game home winning streak. Yeah, this one again. Only half of Georgia Tech’s 44 points in Sunday’s win came from first-shot baskets. As for the rest, on both his radio show and in his pre-game press conference Walz discussed the motivational pitch to his players. If they were dedicated enough to play strong defense on the first shot, why not follow through with box outs and rebounds? In other words, finish the play. Rebounding must also be a team effort, as Walz said, “I’ve got to get the guards to start getting in there and cleaning things up.” Virginia only averages 39.2 rebounds per game, with a +1.6 margin while the Cardinals have managed 36.1 and +1.1. Tonight might be a chance to find the rebounding groove. Virginia likes to turn the ball over, so much so that they do it frequently and with gusto. The Cavaliers sport an ACC second-to-worst -4.06 turnover margin per game and give up the ball 16.5 times per game on average. Junior guard Dominique Toussaint (’16 Miss New York Basketball) managed to give the ball up ten times against Kentucky by herself. 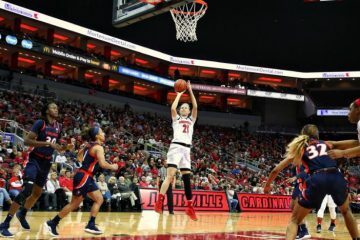 The Cardinal scoring average has dropped from 86.9 PPG to 84.1 PPG over the past five games, and featured a woeful eight point third quarter against Georgia Tech. Converting Virginia’s turnovers to easy buckets could certainly help reverse that trend. Jeff Walz had two things to say this week regarding women’s basketball officiating. On his expectations for its improvement, “Nothing changes so I’m not going to worry about it…It is what it is.” And as for his team, “The officials are going to call the fouls they’re going to call. 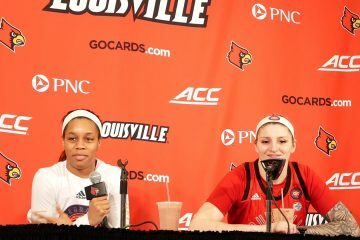 You have to eliminate the ones that are no-brainers for them.” The Cardinals will certainly have their hands full against Virginia guard/forward Jocelyn Willoughby. The jack of all trades junior is both the team’s leading scorer and rebounder, while also leading the NCAA in three point shooting accuracy at 50.7%.